This 2018 $5 Gold Eagle Features Beautiful Designs and It’s Even NGC Certified! 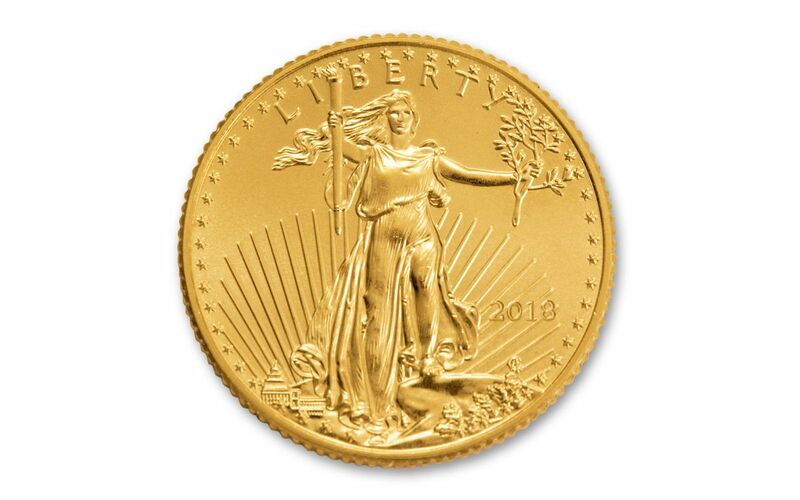 The U.S. Mint offers a variety of bullion coins each year, including the American Gold Eagle. These 22 karat Gold bullion coins have been minted annually since the introduction of the series in 1986. Each one displays a stunning combination of classic and modern patriotic designs. These coins are offered in 4 sizes and are available with several different finishes. The 2018 Gold Eagle shown here has a Brilliant Uncirculated finish, so it lacks a mintmark. It is the 1/10-oz size, which makes it quite affordable compared to the larger sizes. This coin is certified and housed in a permanently sealed slab that will preserve it for years. Annual U.S. 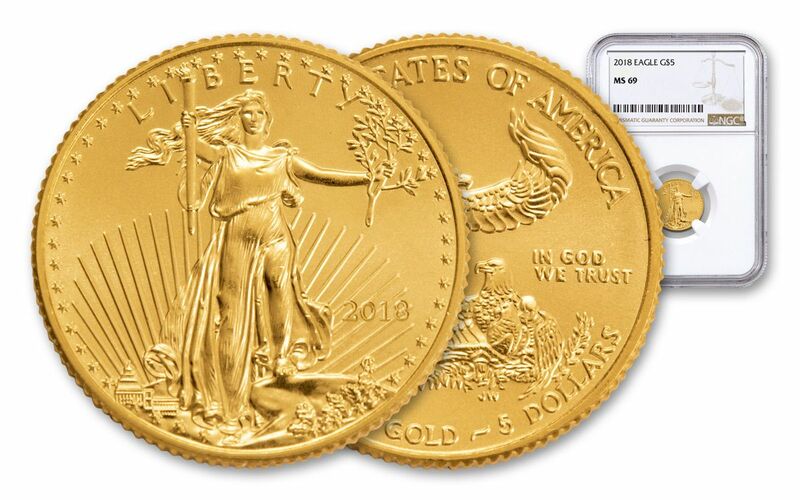 Coin – The American Gold Eagle has been a popular choice among collectors and stackers for over 30 years. The work of Augustus Saint-Gaudens is featured on the obverse, Liberty is pictured in front of the United States Capitol. A family of bald eagles is displayed on the reverse. This stunningly detailed design is the work of Miley Busiek. 1/10 Troy oz. 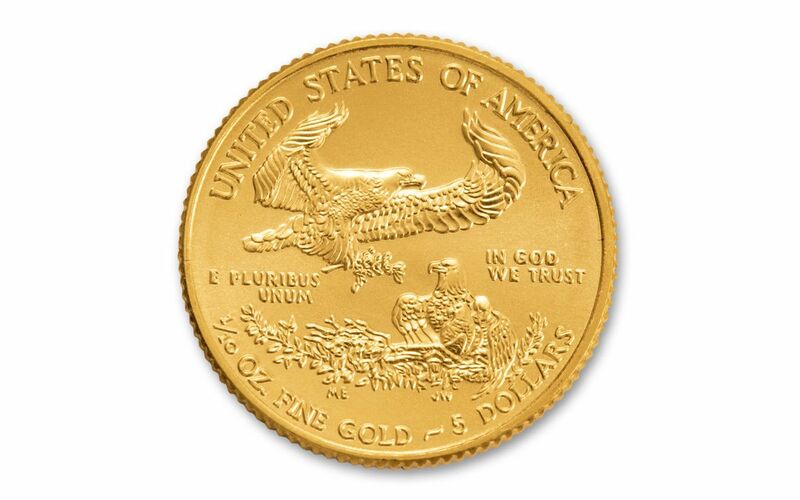 of Gold – The U.S. Mint guarantees the weight and purity of each Gold Eagle. This coin is made of .917 fine gold and it has an actual gold weight of 1/10 Troy oz. Legal Tender in the United States – This 2018 Gold Eagle has a face value of $5. While you wouldn’t want to, you could use this coin as legal tender in the U.S.
NGC Certified MS69 – The Numismatic Guaranty Corporation certified this coin in Mint State 69 condition, which means it is almost flawless. It has a brown label to show its grade. 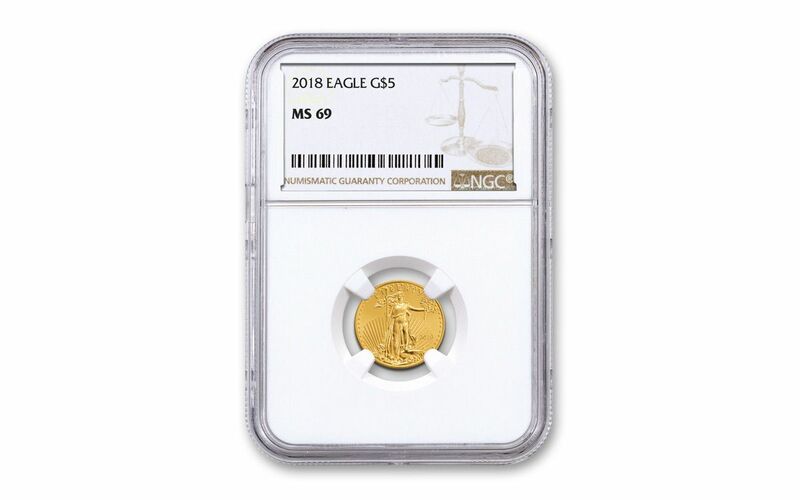 Don’t miss your chance to own this 2018 $5 1/10-oz Gold Eagle NGC MS69 with a brown label, make it a part of your collection today!